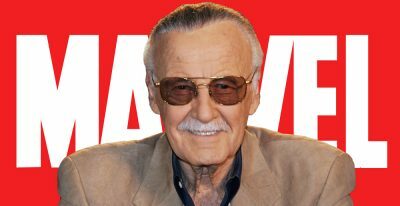 At 8:30 a.m Stan Lee was rushed to the hospital in Los Angeles, California, where he passed away later that afternoon on November 12, 2018. The marvel comic creator didn’t just impact America, he impacted the whole world with superheros like Spider-Man, Black-Panther, Iron Man, etc. Stan Lee’s cameos in every marvel movie created will dearly be missed. 1939 is when Stan Lee was an assistant at the New Timely Comics. In 1941, Lee became a interim editor at the age of 19 soon becoming comic-book division’s editor-in-chief and also art director. In 1942 Lee joined the United Sates Army where he drew cartoons and wrote slogans and manuals. In the 1950’s, he began to compete against DC comics creating a new superhero team. The first superhero team Stan Lee and artist Jack Kirby created was Fantastic Four. Stan Lee, Steve Ditko, and Jack Kirby also created Hulk, Thor, Iron Man, X-Men, Doctor Strange, and Spider-Man. Lee and Kirby than created a team named the Avengers using various characters they created. He then began to co-create more marvel characters known as Marvel Universe. Marvel became a big hit when its first film, Iron Man, was released in 2008. From then Marvel and Avengers became known through out the whole world. 2018 was a huge success for Stan Lee with block buster movies Black Panther, Avengers: Infinity War, and Ant Man and Wasp. Stan Lee passed away knowing the world adored him and appreciated him making heroes and villains everyone loves.